Manchester United supporters were treated with the comeback of fan-favourite Paul Pogba recently, who marked his return to the pitch in stunning fashion. 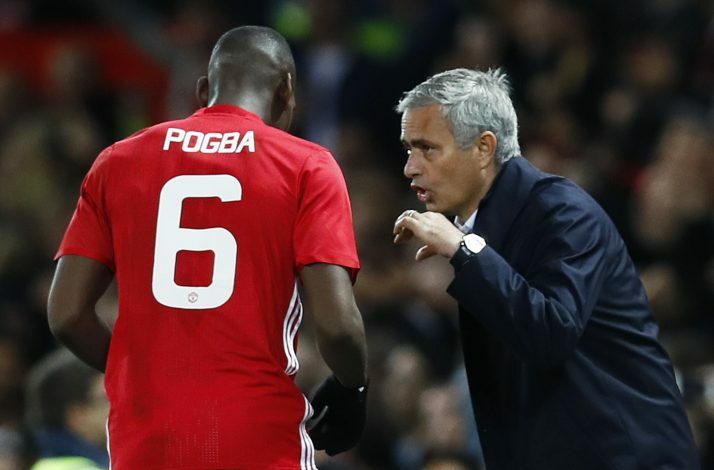 However, after his side’s tight win against newly promoted side Brighton, boss Jose Mourinho has revealed that his mind still holds a dilemma concerned with the French international. Whilst Ashley Young’s deflected shot sealed the Red Devils’ narrow victory, Pogba enjoyed the full 90 minutes on the pitch. But according to Mourinho, the talented midfielder’s fitness is still an unanswered question for his side, especially considering the busy schedule of fixtures United are set to encounter soon. “It’s hard for me to be on the bench and don’t know when Pogba has to be changed,” said the former Real Madrid boss. The Mancunian giants are set to face an in-form Watford, followed by clashes against rivals Arsenal and Manchester City. And the Red Devils will definitely be keen on putting the pressure on the league leaders. The Portuguese’s concerns are definitely understandable in the context of the busy winter schedule of the Premier League. Conserving the club’s vital players should definitely be the United tactician’s best concerns.